Our Franky Tracker aims to help you meet our local guitarist on Club Penguin Rewritten so that you can receive a hard-difficulty and obtain his exclusive background! Franky gave out the same background which can be obtained by meeting any other of the three members of the Penguin Band! He gave out this background at the 100K Celebrations Event, the Music Jam 2017/2018 and the Christmas Party 2017! 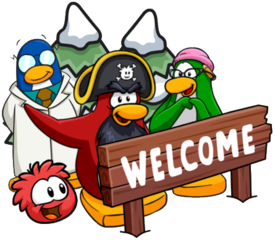 Lastly, he gave out this background during the Penguin Play Awards 2018 and the Waddle on Party in 2018. You could get this background without meeting him by clicking some bots of the Penguin Band playing at the Dock, or you could obtain this background normally by meeting him as usual. These are how the backgrounds look like on your playercard! 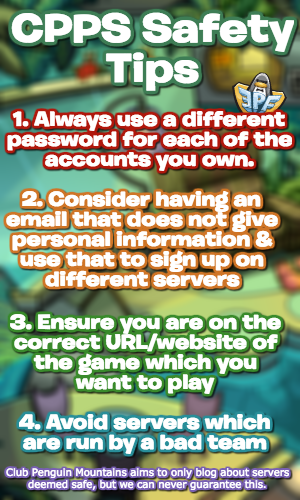 Good luck meeting Franky and remember to keep checking this tracker for an increased chance in doing so!